Très chic! The look is unmistakably sophisticated, the hand is luxuriously soft, and the fit is oh-so comfortable…sounds like bliss to us. 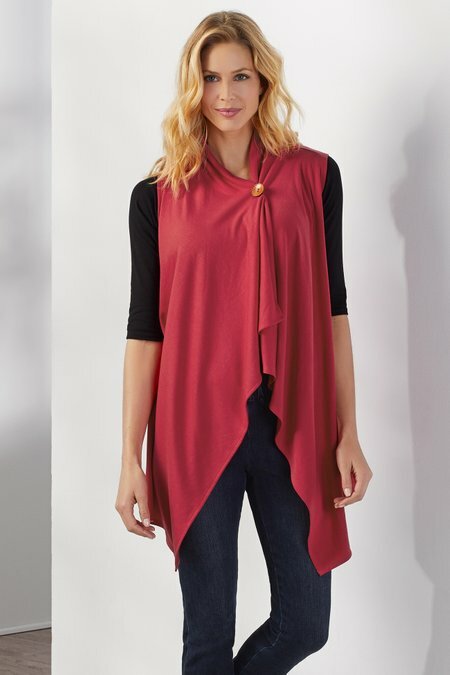 One button closure creates a flattering neckline, waterfall hemline in front. 29" at longest point.